Yes, Drunken Squirrel’s Cake. 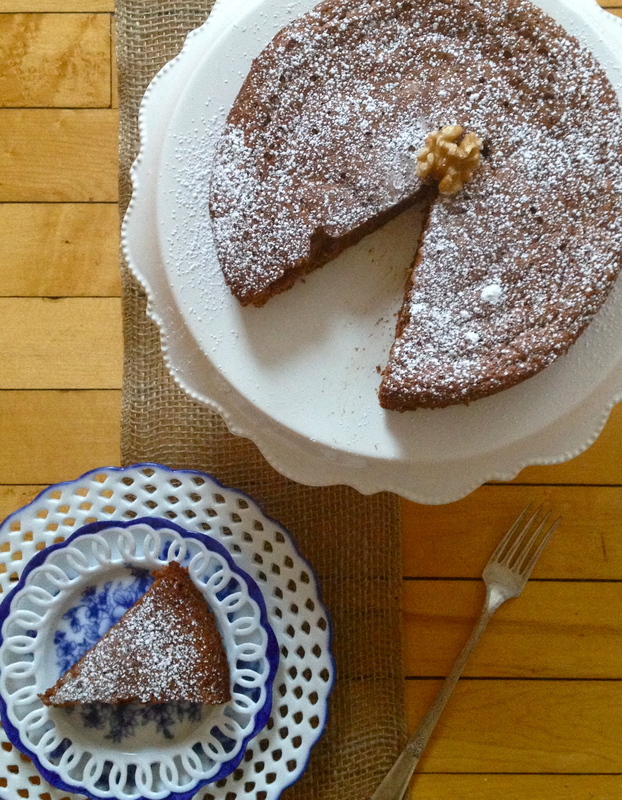 Named for two of its distinguishing ingredients, walnuts and Kahlua, this flourless cake is gooey and delicious with a hot cup of tea on a chilly afternoon. 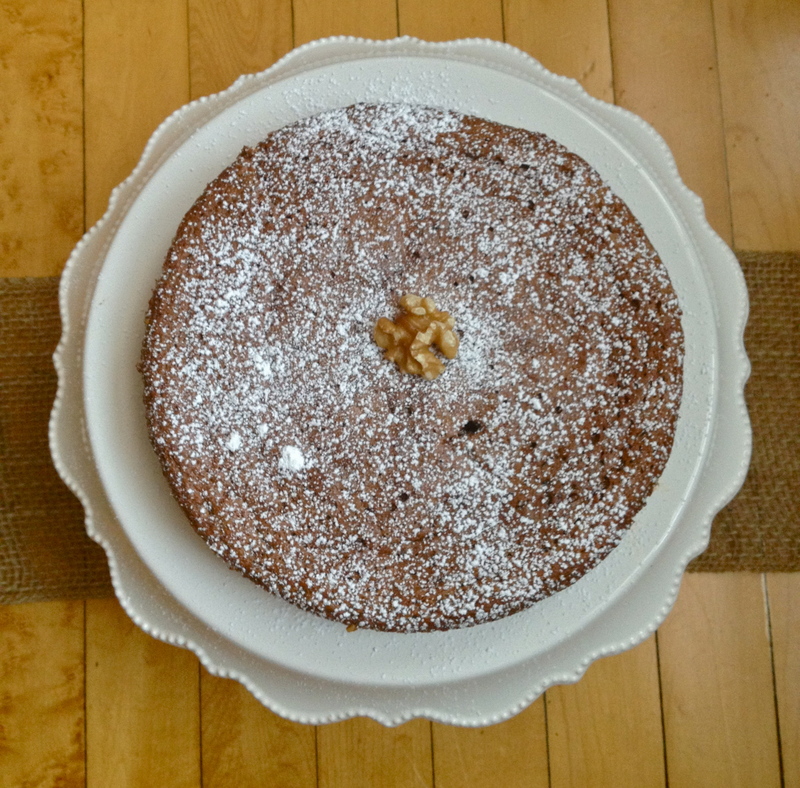 Inspired by a cake from Laura Calder, it bakes up brown and beautiful and has a super-tender soft texture thanks to its nutty flourless batter. If you can, use a more petite cake pan, as this little guy is meant to be smaller and taller rather than wide and flat. The air that we’ll beat into the eggs makes everything puff up while baking and then fall down while cooling, which makes for a cake that’s both dense and airy at the same time. Squirrels and people everywhere, rejoice! Heat a pan over medium and add the walnuts. Toast them until they’re nutty and fragrant, careful not to burn them. Then blitz the walnuts and breadcrumbs in a food processor until powdery. Separate eggs into two bowls. Don’t use a plastic bowl for the yolks, as you’ll need to whisk them over heat. Add the sugar to the yolks and place it over a saucepan of simmering water. Don’t let the bottom of the bowl touch the water in the pan. 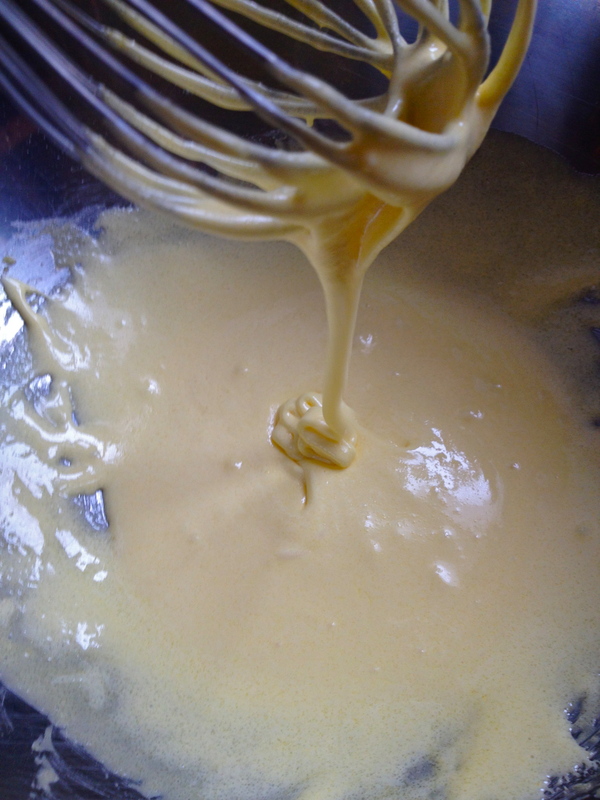 Whisk over heat until the yolk mixture has tripled in size and is “thick, pale, and ribbony.” Remove from heat. 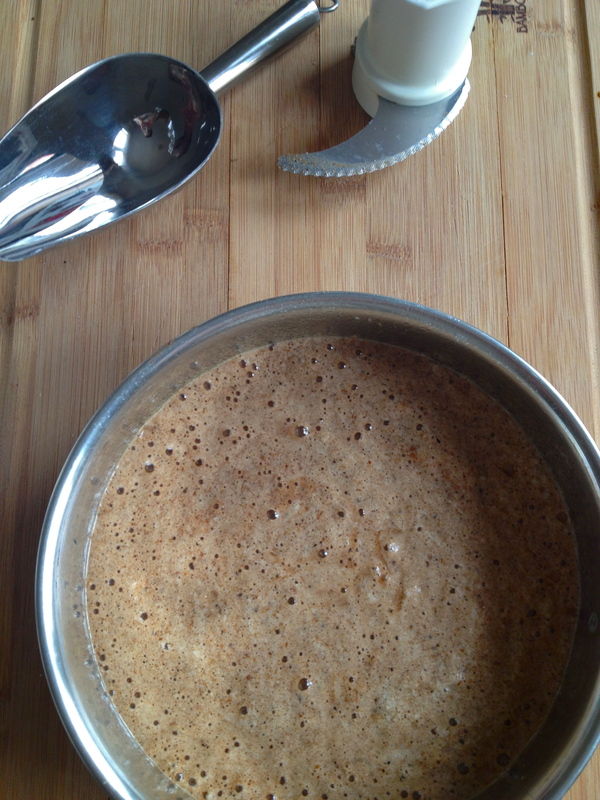 Add nut mixture, chocolate, honey, butter, and Kahlua to yolks. Gently fold together. Now whisk egg whites until they form stiff peaks. This takes some elbow grease, but don’t lose heart–you’ll get there. Add a spoonful of whites to the yolk mixture and gently combine, to loosen the yolk batter. Then fold in the rest of the whites. Pour into a well-greased cake pan. Bake for 30-35 minutes, until a toothpick inserted in the middle comes out clean. Cool completely in the pan; because we beat so much air into the eggs, the cake will fall a bit, so don’t worry if you see it starting to sink. Remove the cooled cake from the pan. Sprinkle with powdered sugar and garnish with another walnut or two. Lovely! Next Russian Sour Cream Coffee Cake. Who was your drunken helper? Can’t wait to try this one. No drunken helper–just drunken inspiration.